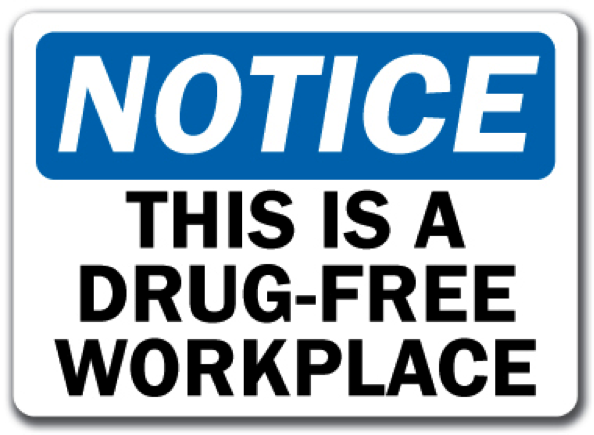 The federal Drug Free Workplace Act of 1988 was enacted to ensure that work done under federal contracts or grants is performed in a drug free work environment. In addition to prohibiting all employees from engaging in the unlawful manufacture, distribution, dispensation, possession, or use of a controlled substance, the State Board prohibits all employees from engaging in such illegal activity at all times and all places. Such activity, even during non-working hours, clearly affects an employee's ability to perform public duties. No employee may illegally engage in the manufacture, distribution, dispensation, possession, or use of a controlled substance at any time or place, including while at the workplace. Such unlawful activity shall be considered sufficient grounds for a serious adverse personnel action, including dismissal from employment. If an employee is convicted (including a plea of nolo contendere) of violating any criminal drug statute of any jurisdiction, regardless of whether the alleged violations occurred at the workplace or elsewhere, the employee or others must notify the Commissioner or President in writing of each conviction within five days of the conviction.